As you live in the homes and properties in Southern Oregon, specifically in Grants Pass, one of the perks you get is the diverse choices of restaurants to unleash the foodie in you. Below is the list of restaurants where you can eat at in Grants Pass. 1. LAUGHING CLAM – It is a brick-lined saloon for American eats, cocktails, and draft beer. Despite it being low-key, it provides live music. 2. MA MOSA – This kitchen has an intimate setting. With brick-walled surroundings, you can enjoy locavore breakfast and lunch. 3. RIVER’S EDGE RESTAURANT – You get to enjoy the outdoor patio and river views in this resto. Serving a New American menu in this warm ambiance, you’ll get to understand what bi-level eatery is. 4. 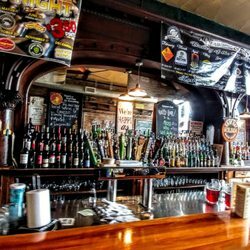 THE HAUL – It is an elevated craft beer and pub grub in a hip, warehouselike tavern. The outdoor seating is a bonus. 5. MATSUZAKE JAPANESE RESTAURANT – Traditionally decorated in Japanese designs, this Veteran Japanese outpost offers a menu of sushi and hot dishes like teriyaki.